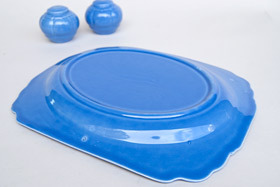 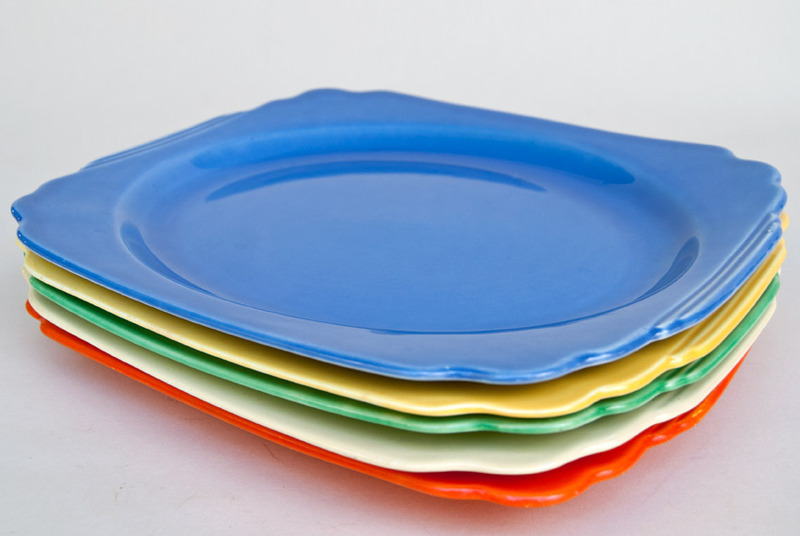 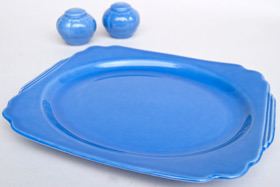 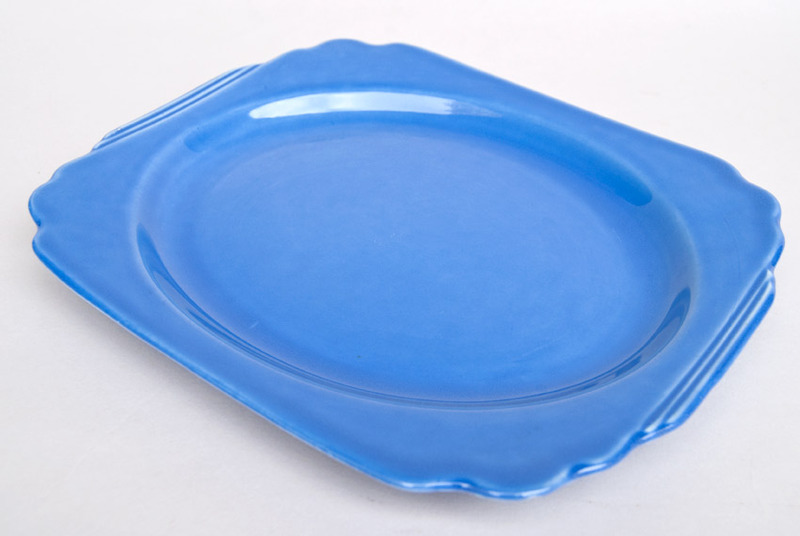 Circa 1933-1944: The Riviera platter comes in an abundant variety of shapes and sizes. This example is referred to as the "Oval Well with Tab Handles". These will be found in thirteen and eleven inch varities. The platters were formed in a ram press, fired once, hand dipped in glazes and placed on stilts in the kiln for a second firing. An extremely labor intensive pottery making technique that would only last into the 30s and early 40s. 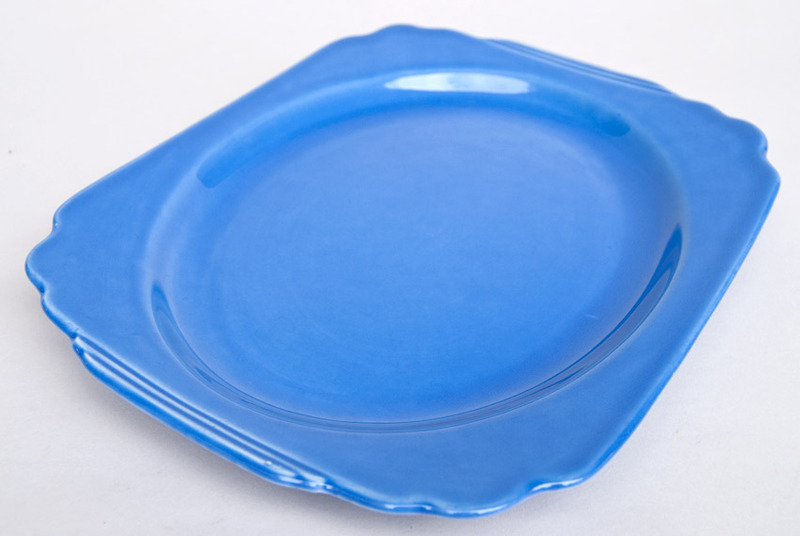 Designed on the tails of the art deco and industrial ages, the sublte scalloped edges and great streamlined lines found in the tab handles make this a classic example of American dinnerware. 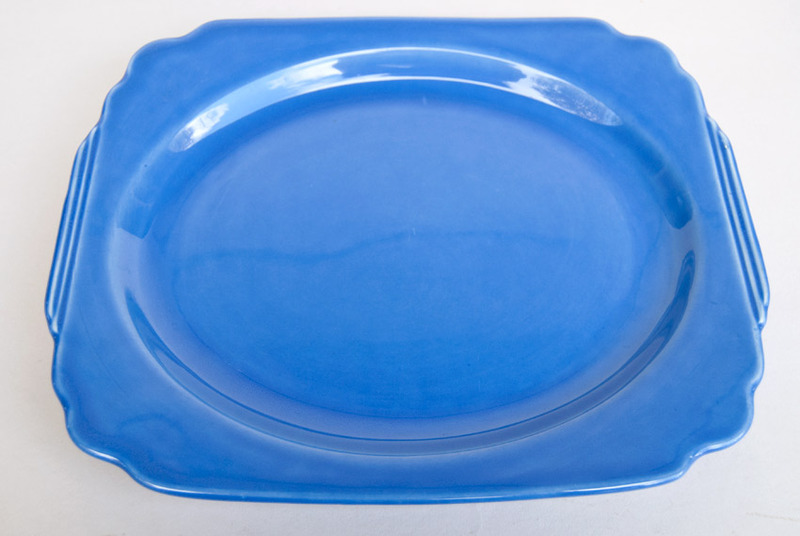 Measures 11 1/2" and is in excellent condition.